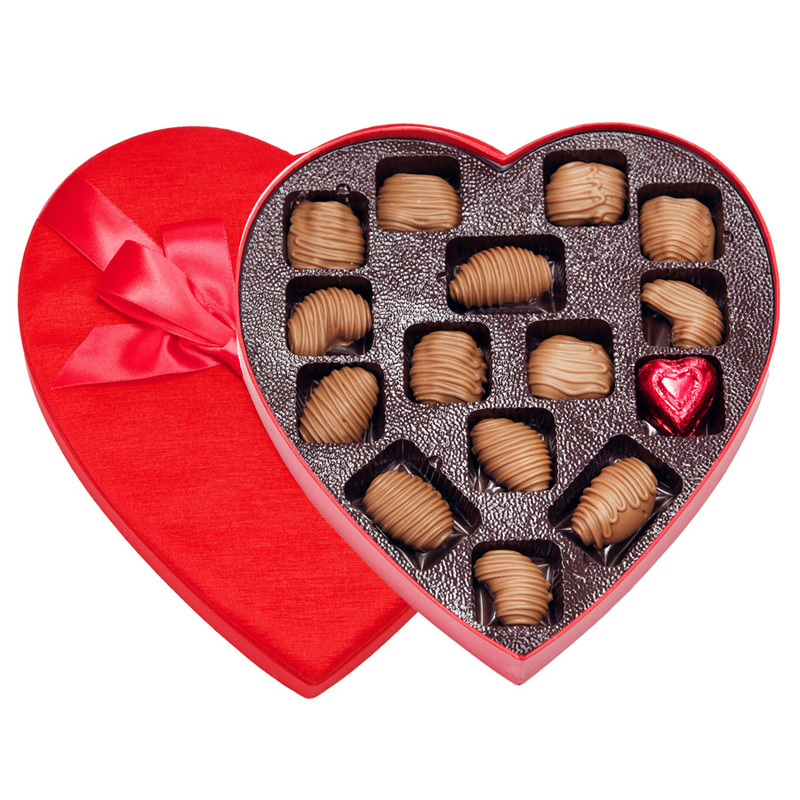 This red satin heart is filled with the delicate crunch of freshly roasted, lightly salted whole jumbo cashews, sweet Georgia pecans, English walnuts, Brazil nuts and crisp California almond twins all held within ribbons of intense dark or milk chocolate. Each heart is made with love and filled with sweetness. Available in 1.5 oz., 2.25 oz., 3.5 oz., 6 oz. and 12 oz.